Remember when you were in grade school and all you had to do to make friends was waltz up to another kid and ask, “Will you be my friend?” I do! Sometimes I miss those days and how easy it was to make friends. Somewhere along the line, we grow up, and it goes against social norms to walk up to people and ask them to be your friend. There is a ritual to making friends as an adult and it tends to involve several awkward meetings of assessing one another to see if you are indeed friend material. Making mom friends is especially difficult because your meetings must revolve around crazy schedules, nap times, and feeding times. Parenting opinions often differ so dramatically that someone could be deemed unworthy of friendship with a mere glance. The great paradox of modern motherhood is that we have so many social networking sites and gadgets to keep us connected, yet we are increasingly lonely. 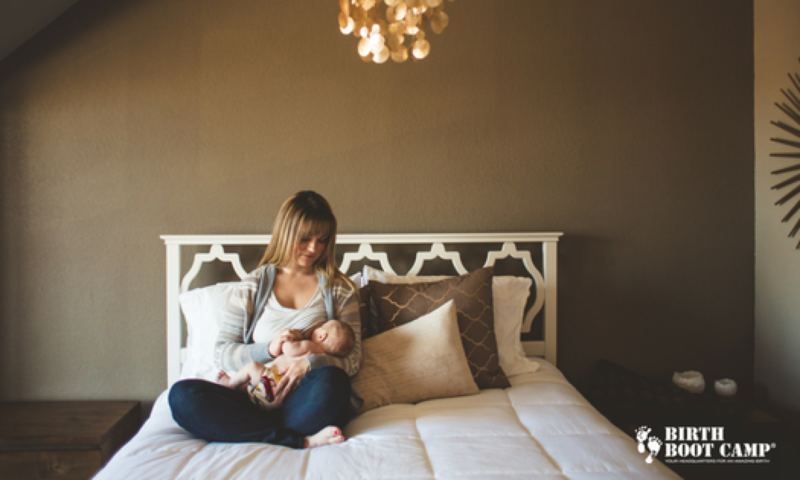 Even though we are never alone, many mothers suffer from chronic loneliness. No one seems to have any answers. For one reason or another, whether relocating or having your first baby, you might find yourself needing to enter the mom friend-finding scene. One of the first women who seemed like “my people” had kids much older than mine. She became like a mentor to me. While I didn’t understand the importance of this advice at the time, I understand it now. She often encouraged me to find my tribe. I thought it was strange at first that she used that language, but it really is great advice. The longer I spend on this motherhood journey of mine, the more I yearn for a tribe of women to share this journey with. I ache for their support and encouragement. I need reminders that I’m not crazy, that it really is that hard, and that I am doing a great job. I need people to tell me that it’s okay to be imperfect and that we all are. I don’t necessarily need advice-especially the unsolicited variety. That first mentor mom was great about advice. I say she followed the “Vampire Rule of Advice.” Vampires aren’t allowed into your house unless you invite them in. However, once you invite them in that first time, they can enter your home any time they want. She patiently waited until I asked for advice before offering it. I appreciated her patience. I welcomed all of her future unsolicited advice because she respected me enough to wait until I asked for it that first time. After awhile, I began to take her advice and search for my tribe. I met these wonderful ladies through Birth Boot Camp. In order to blend into my surroundings, I secured my 3 year old little boy in a shopping cart and walked around with him for a few hours. I strolled back and forth between the school supplies, toys, baby sections, and children’s clothes sections. I approached 5 women in Target and 6 women in Walmart, for a total of 11 women. I looked for women who were walking around with children but no other adult. If they did not have any children with them, I looked to see if they had items in their shopping cart that would suggest they were shopping for a child. Only 1 woman I approached did not have any children with her. Only 3 of the 6 women in Walmart spent some time talking with me. One of those 3 women was a mother who spoke very little English but allowed her daughter to translate. The last 3 women I approached were the only ones of the day that said no to talking with me. I hypothesize it had more to do with the fact that it was around the same time many people were getting off work. I may have found those moms who were trying to make a quick stop before going home. I began this experiment nervous, yet excited. I had a positive and optimistic attitude that I might actually find a friend during the experiment. Once the experiment was over, I felt tired and morose. I felt extremely lonely even though I had spent the day with my family and had a ton of social interaction. I feel like I began to identify with that poor lonely mom that I was acting like. The only word I could use to describe how I felt was pathetic. It took me a few hours to recover from those feelings. The moms I met seemed to be kind and compassionate toward me and seemed to identify with needing social interaction. I just needed someone to talk to, and I seemed like a non-threatening individual walking around with my 3 year old son. I was surprised at how quickly people trusted me enough to have a conversation with me. The aisles of Target and Walmart are definitely not the best place to find mom friends, but stranger things have happened. I have had the best luck finding mom friends through more formal organizations like MOPS and La Leche League. I have found a few friends through more informal playgroups and babywearing groups. I have found friends through my church and just interacting with other people through my work as a doula. I have made a few mom friends at local library story times and even play areas at some fast food restaurants. Whatever your interests, there is probably a group for it. Finding mom friends is not always easy, but it is well worth the effort. Those few friends who “stick” are definitely worth their weight in gold. I am thankful for the amazing mom friends who have mentored me, encouraged me, and made me laugh when I needed it. They “get me” like few can. Hoorah for mom friends! FABULOUS work, Kristi! Such important information.